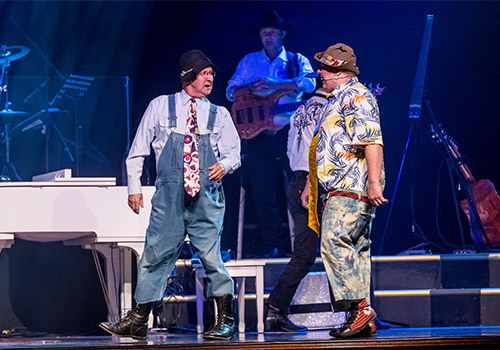 A family-operated revue, popular since its opening in 1959, Baldknobbers Jamboree is an upbeat live show that features contemporary country music and side-splitting comedy acts. 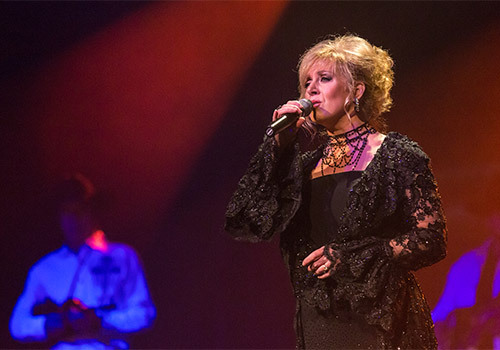 The show is hosted and performed six nights a week by the second and third generations of the Mabe family, as well as other talented musicians, singers, and actors. Show duration: approximately 2 hours. Baldknobbers original costumes, instruments and artifacts are on display at the Smithsonian’s National Museum of American History. Pre-show begins at 7:00 pm. 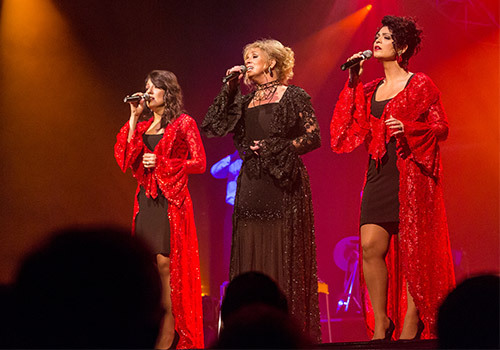 Performed by multiple generations for over 50 years. 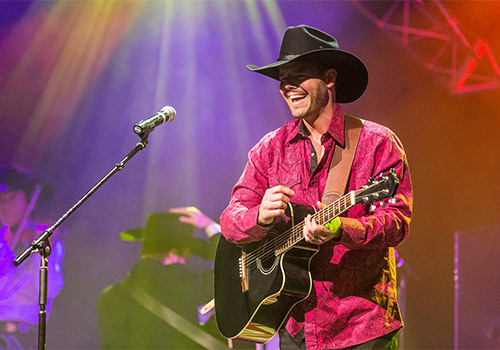 Branson's Famous Baldknobbers, featuring the Mabe family, is a country music and comedy variety show in Branson, Missouri performing at the new Branson Famous Theatre. 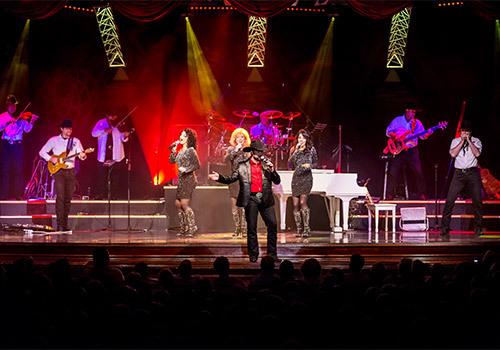 The Mabe family began the Branson family entertainment phenomenon 58 years ago in 1959. Today, the family continues to wow audiences as the second and third generations add their own flare to the family legacy. 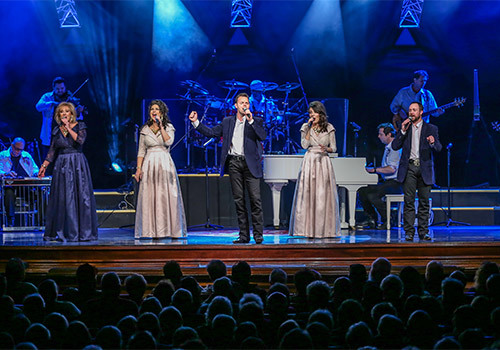 Their perfect blend of country music, gospel music and comedy will keep you at the edge of your seat and roaring with laughter all night long. 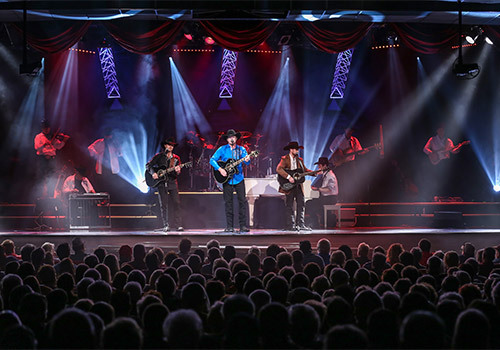 Don't miss Branson's Famous Baldknobbers at the new Branson Famous Theatre! 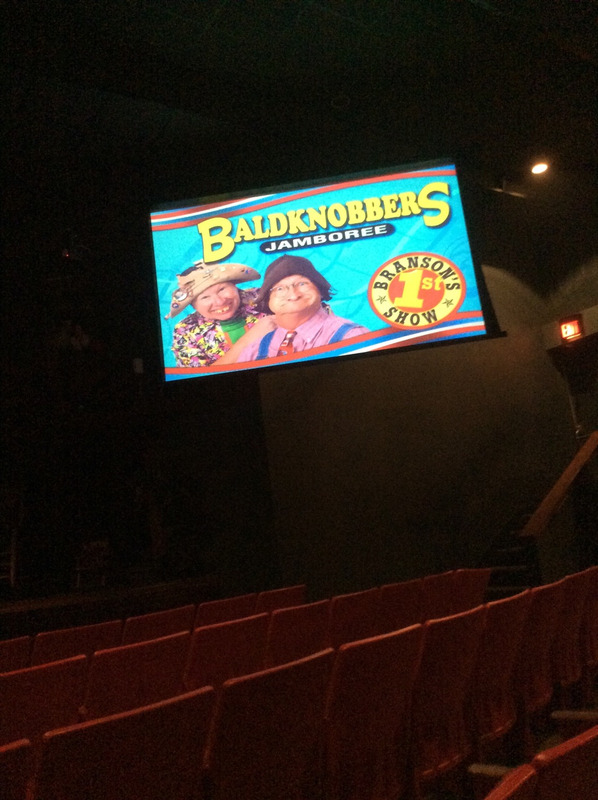 Branson's Famous Baldknobbers are located at the new Branson Famous Theatre on Hwy 165. Performances are Monday through Saturday at 8:00 pm with a Gospel Show performance at 2:00 pm on Wednesday. 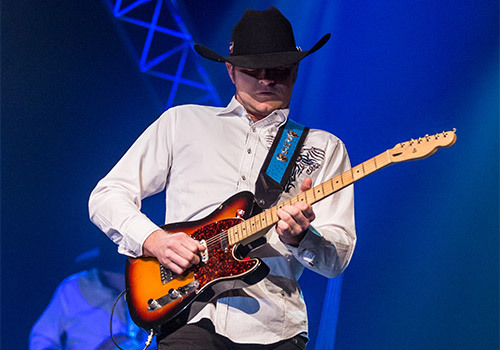 Is there a pre-show guests should be aware of at the Baldknobbers Jamboree Show? Yes. There is a pre-show, starting at 7:00 pm. 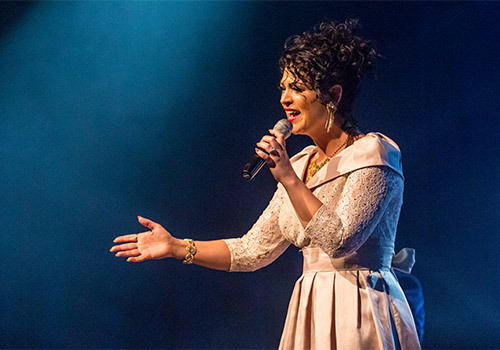 It consists of a video montage and some live singing and comedy. 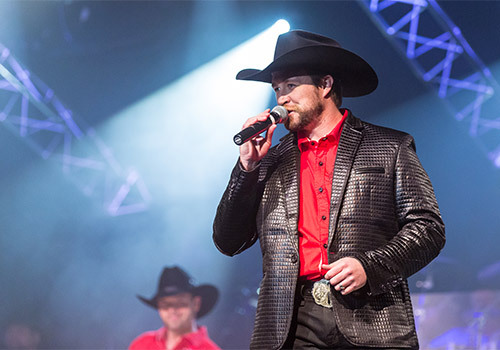 Are visitors allowed to meet & greet the performers at Baldknobbers Jamboree Show? Cameras are allowed, but there is no video or audio recording allowed. 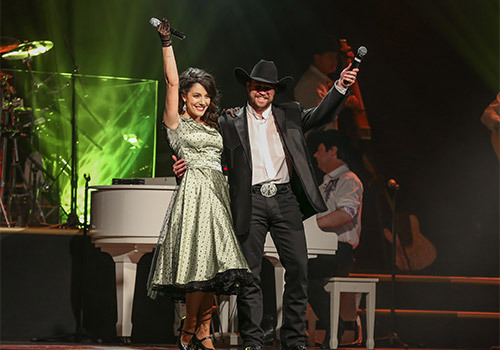 What is the size of the Baldknobbers Jamboree Theater? How many rows constitute the Baldknobbers Jamboree Theater? There are 32 rows total. Approximately how long is the Baldknobbers Show? Wheelchair seating is available by special request. If making a wheelchair seat request, we need to know if the guest can get out of their chair. Wheelchairs and walkers cannot block the aisle or prohibit other guests from entering and exiting the row.